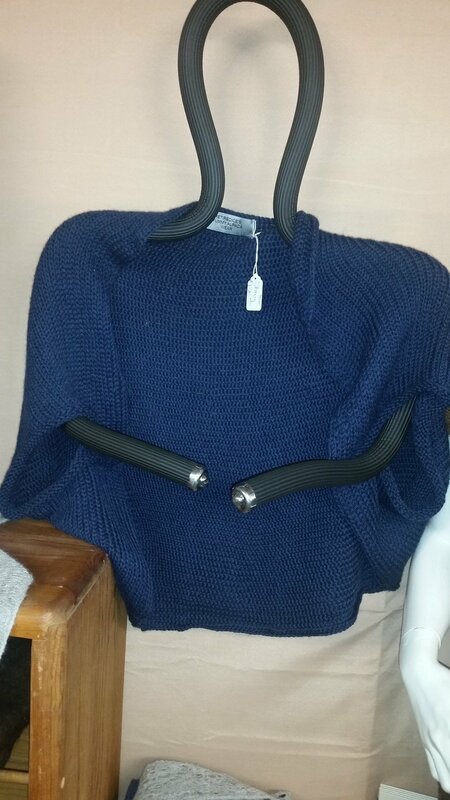 Nice shrugs, rolled sleeves, easy to wear, keeps you warm and looking good. Also in a lighter blue and in black. If out of stock, allow 2 weeks for production and 3 days shipping.